AN INVESTIGATION IS underway after it was discovered that a number of low volume draughts were being sold in Irish pubs as craft beer. The news was first reported by Newstalk this week, with Heineken Ireland confirming it had been made aware some of its products were being sold in a small number of outlets under different names. “This is not Heineken Ireland’s policy and accordingly, this practice has been stopped,” the company said in a statement. TheJournal.ie understands Heineken itself was not among the beverages passed off as local craft beers, but Beamish, Murphy’s and Foster’s, three of the company’s other products, were among those involved. Heineken Ireland trades with more than 8,000 outlets and it is believed this may have occurred in several dozen. “We apologise to our valued consumers and customers. This should not have happened,” the company said. Grant Thornton has now been appointed to investigate how this occurred so it can be prevented in the future. 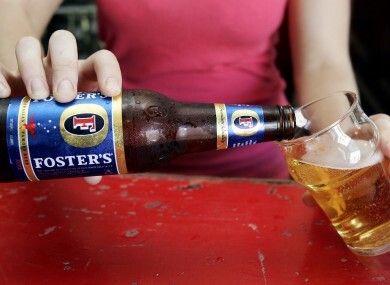 Email “Foster's, Beamish and Murphy's sold in Irish pubs as local craft beer”. Feedback on “Foster's, Beamish and Murphy's sold in Irish pubs as local craft beer”.